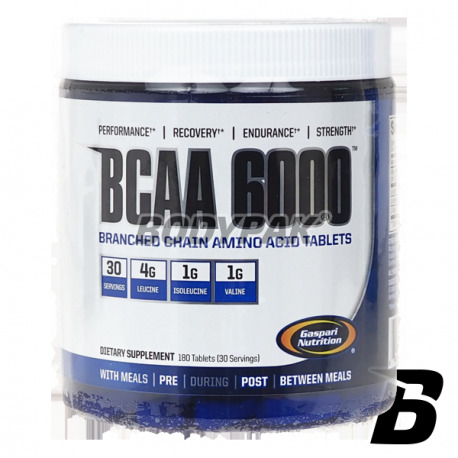 Amino AcidsGaspari Nutrition BCAA 6000 - 180 tabl. 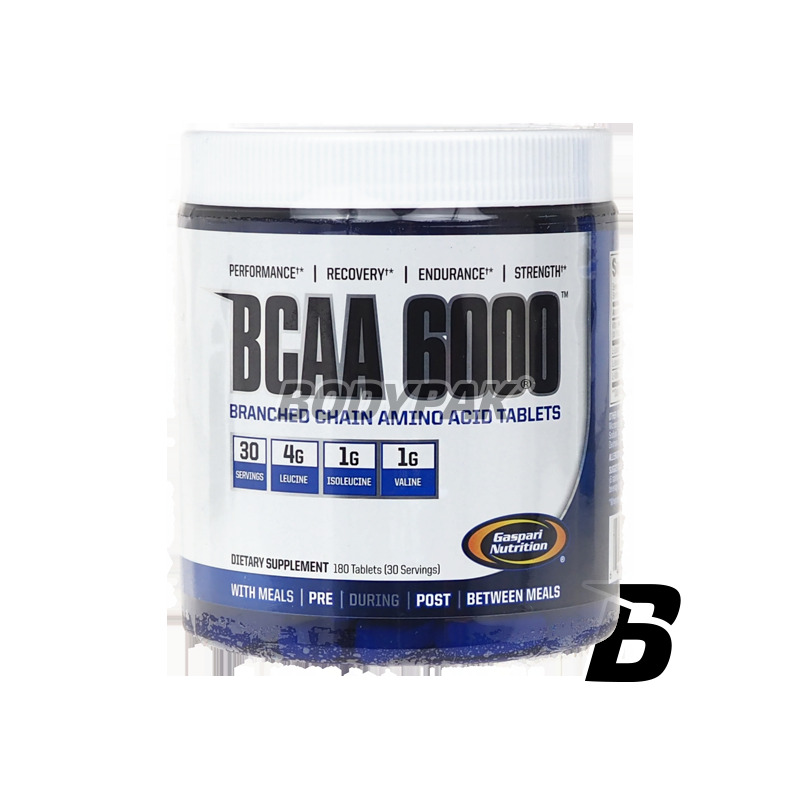 BCAA 6000 are the three essential amino acids L-Leucine, L-isoleucine, L-valine, which significantly accelerate the reconstruction and regeneration of muscle with vitamins B6 and B12. Gaspari Nutrition BCAA 6000 are the three essential amino acids L-Leucine, L-isoleucine, L-valine, which significantly accelerate the reconstruction and regeneration of muscle with vitamins B6 and B12. Under the influence of intense training comes to the exhaustion of energy reserves stored in glycogen. This increases the demand for amino acids BCAA. Gaspari Nutrition BCAA 6000 accelerates post-workout regeneration, away fatigue and most importantly - inhibits catabolism okołotreningowy! Branched chain amino acids are not synthesized by the human body, so there is a need for providing them with a meal out or a professional supplement (such as this). They represent over 30% of muscle mass so you want to ensure their adequate number in your diet. Inne składniki: fosforan diwapnia, kwas stearynowy, celuloza mikrokrystaliczna, stearynian magnezu, kroskarmeloza sodowa, dwutlenek krzemu, karboksymetyloceluloza sodowa, dekstryny, dekstroza, lecytyna sojowa, cytrynian sodu.